Last night, we gave out over twenty Gospel Goodie bags. 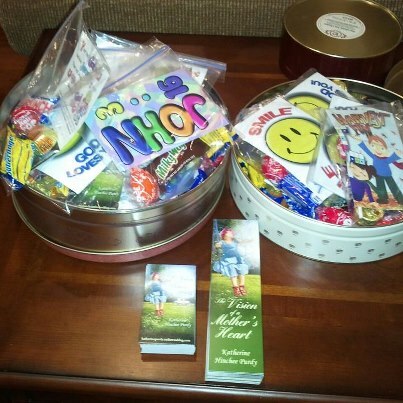 Praying that the tracts will not be thrown out with the empty wrappers, but read by parents and child; the Good News that Jesus loves them enough to shed His blood on the cross for them and then arose that they may have life eternal – with Him! If you are interested in ordering tracts for any occasion, check out this website.